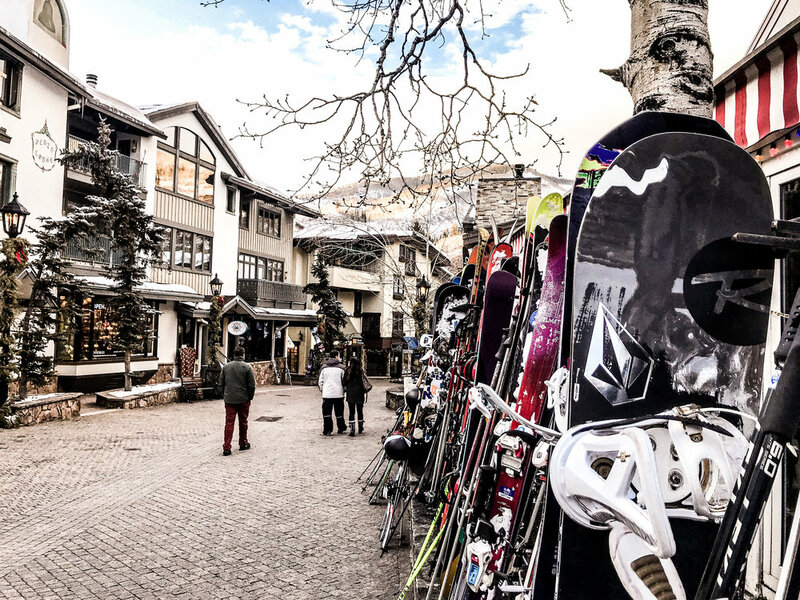 While walking over the bridge into the Vail Village, it was almost as if time had stopped. The day was slowly fading into night. The twinkle lights turned on and the most picturesque sunset I have ever seen displayed its self proudly. It was so vibrant that it looked fake. Everyone in the Village stopped in awe and watched as the colors turned more vividly. 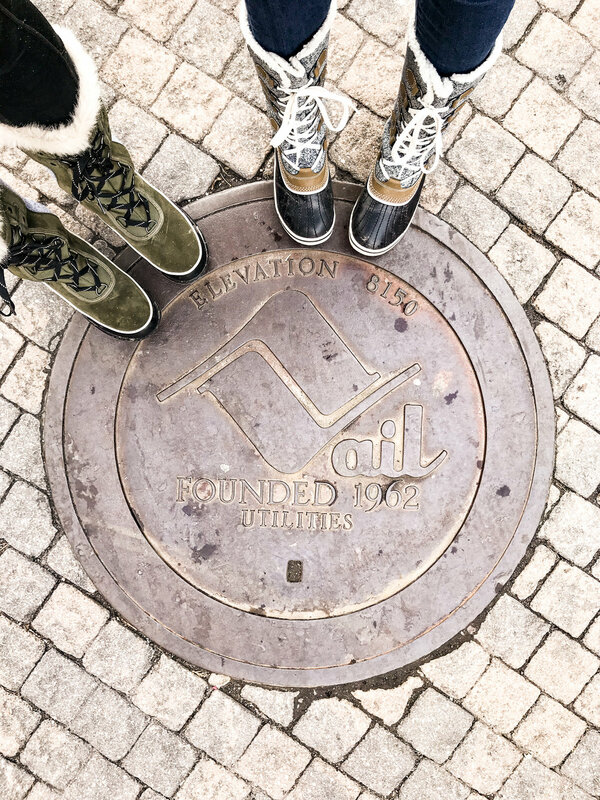 I immediately fell in love with this place and even though I couldn't afford much more than a t-shirt, the quaintness of this place called Vail made me feel as though I was strolling through a Swiss town in the Alps. I'll take it! Unfortunately this winter hasn't been the one most of us Utahan's had hoped and dreamed about. So we decided to venture into the rock mountains and find some of that white fluffy stuff to enjoy! 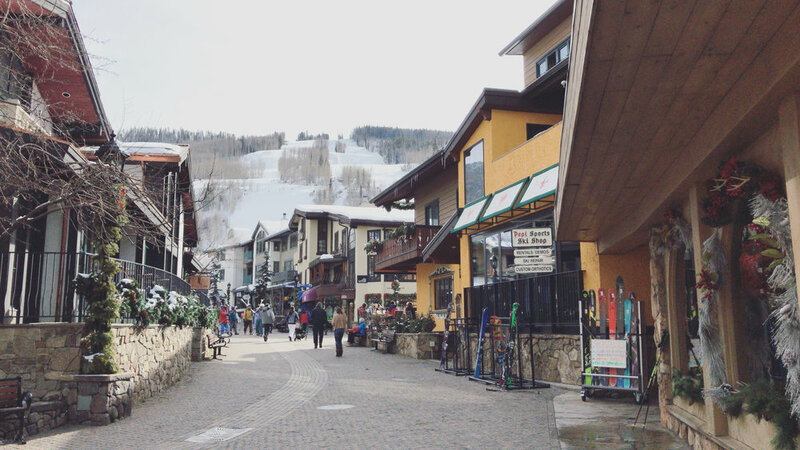 We rooted ourselves in the town of Silverthorne, Colorado where we were surrounded by endless amounts of shopping, ski resorts, pine tree forests, and snow! 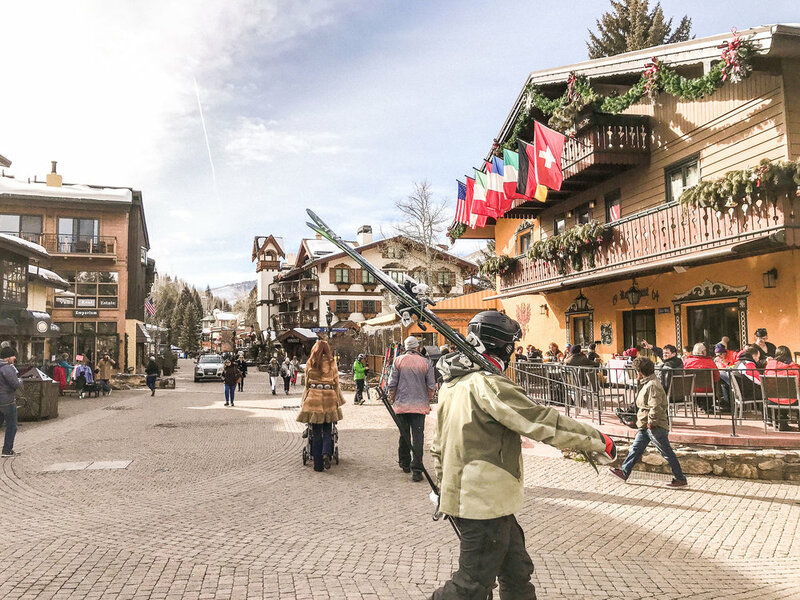 Strolling the streets of the village is as if you are in some sort of time warp and although this was a leisure/outdoor getaway full of wearing show clothes, for my nights out I wanted to still be stylish. For anyone who knows me my ensemble isn’t complete without a watch on my wrist. The newest addition to my collection that I’ve been eying for quite some time comes in the form of a wooden watch. 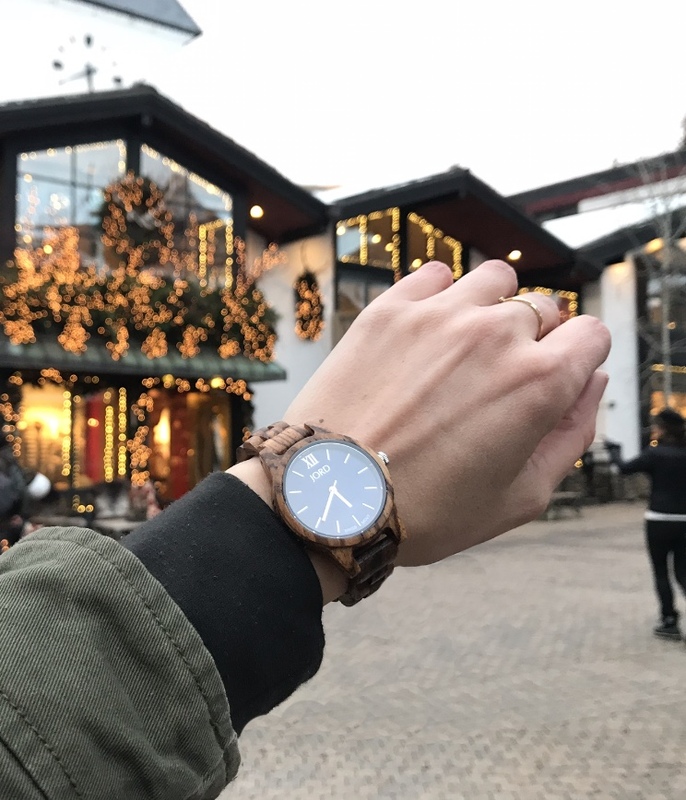 Yep that’s right a watch made out of wood!! My JORD Watch was just the trick for my weekend getaway always keeping me on time and stylish! 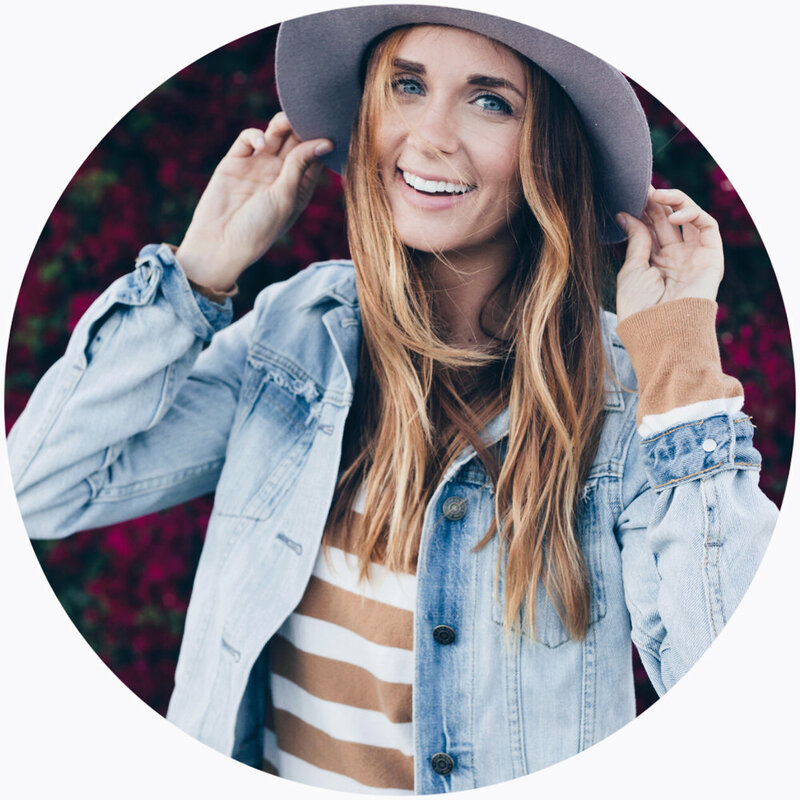 Let me take a minute to share with you what I absolutely love about this watch and think you will too!! First, I love the minimalistic look of it. It is simple and elegant. I chose to go with the Frankie 35mm Navy face and Zebra wood combo. Truth be told I wanted to just buy them all, but had to show self-constraint. I love the uniqueness of having a wooden watch which can be customized with a secret love note engraved on the bottom side, and most of all I LOVE the weight! The weight of this watch is so light that it doesn't even feel like I have anything on my wrist which is really nice. I’ve gotten so many compliments on it and it sure has become the rising star of my watch collection! 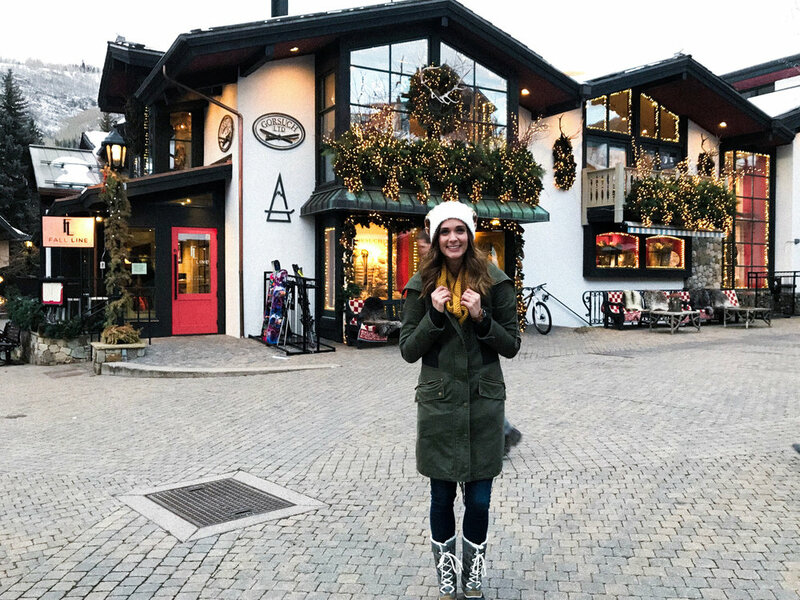 In fact, while walking around both Vail Village and Breckenridge I couldn’t find a watch I liked more than my JORD watch to add to my collection- and that’s saying a lot! If you’re in the market for a new spring timepiece, head over to JORD watch and enter my giveaway for your change to win $100 giftcard! I haven't spent much time exploring the rocky mountains of Colorado, but after this weekend, that will definitely change!